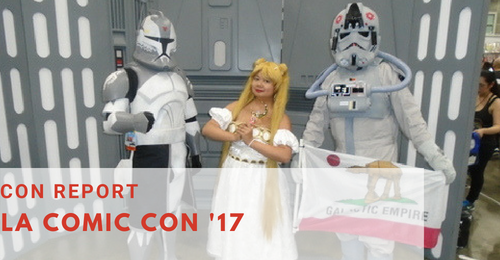 Los Angeles Comic Con is an annual pop culture event taking place in downtown Los Angeles. The 2017 show took place on October 27-29, 2017 at the LA Convention Center. This has been LA Comic Con’s home since 2011 when it was a budding event in Kentia Hall. This year’s guests brought in Stan Lee, Walter Koenig, a reunion of the original Mighty Morphin Power Rangers cast, Rob Liefeld, Todd MacFaralene, and many other industry A-listers. LA Comic Con usually brings in over 90,000 unique attendees over the three day weekend. This year proved to be bigger and better than before! Our team covered Day 2 and Day 3 of the show.